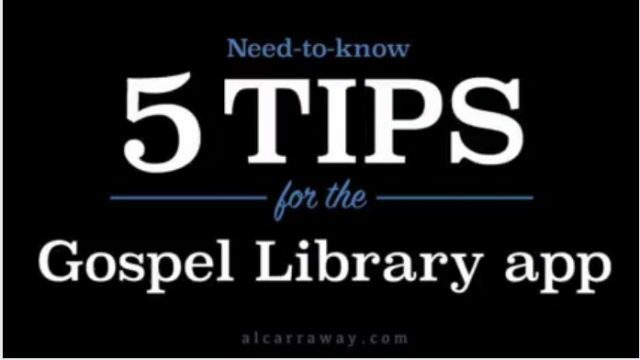 Al Fox Carraway recently met with the designer of the Gospel Library mobile app and created a video “5 Tips for Using the Gospel Library App.” It’s packed full of helpful tips on how to improve your study experience with the app. If you have any feedback or questions about the app, you can report them right in the app. If that doesn’t work for you, you can email them to gospellibrary@ldschurch.org. Great highlights of the most important App on my Phone! Al Fox Carraway brings light to everything she is engaged in. This is great for IOS! Can someone be encouraged to create similar videos for Android and Windows 10? Awesome additional features. Thanks for sharing this very useful tool.It is a blessing indeed for those who are using this precious app so we can take more advantage of what the GOSPEL LIBRARY can offer. Thank you so very much.